Windows Phone 7 rumored to be coming soon. It is estimated that Microsoft will start selling Windows Phone 7 on the 11th of October 2010. Reportedly, the smartphone with the Windows operating system will be sold exclusively in collaboration with AT&T. From Okezone, the world's largest software company will sell three types of smartphone based on Windows Phone 7 from various brands, namely LG, Samsung and HTC. AT&T itself is rumored to be selling it first, ie on 8 November. Windows operating system has lost its prestige after Apple launched the iPhone in earnest. Even the position of Microsoft's mobile OS getting squashed by the presence of RIM's BlackBerry platform and Google Android. 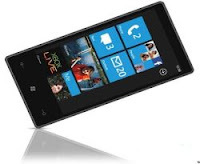 The launch of Windows mobile phones is expected to increase reintroduction Microsoft Mobile OS market share. According to research firm Gartner, the market share of Microsoft's operating system in the world this year will be down around 4.7 percent. Whereas last year its market share had reached 8.7 percent. Last June, Microsoft said it has stopped development of smart phone called Kin. Microsoft would prefer the focus as a provider of software rather than develop handsets. But this rumor is still unclear. The reason Wall Street Journal was only quoting this statement from their source at Microsoft. But when contacted by AFP, Microsoft refused to comment on rumors and speculation.